Spatial Audio… It’s a buzz word that you might have heard doing the rounds currently in the wonderful world of audio technology. My first experience of Spatial Audio (or SA) was via the Abbey Road Red incubation programme (whose Board I sit on). Among the earliest companies to join Red was an impressive headphone outfit known as OSSIC. OSSIC opened my eyes to the need for convincing spatial audio over headphones. 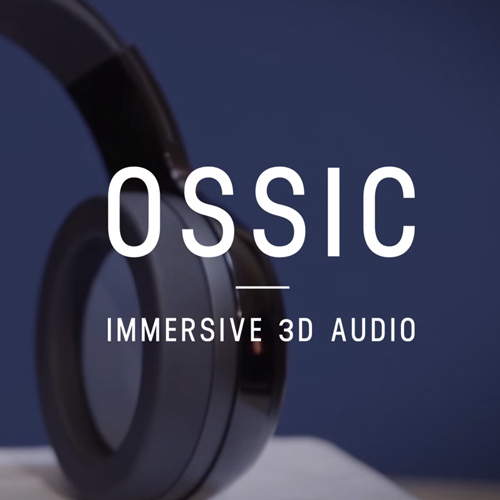 OSSIC has a compelling vision, looking to solve the challenges facing Spatial Audio in headphones for both gaming and Virtual Reality. I would fully credit OSSIC to opening my eyes to SA and sending me down a path that I had no idea I would be wandering. 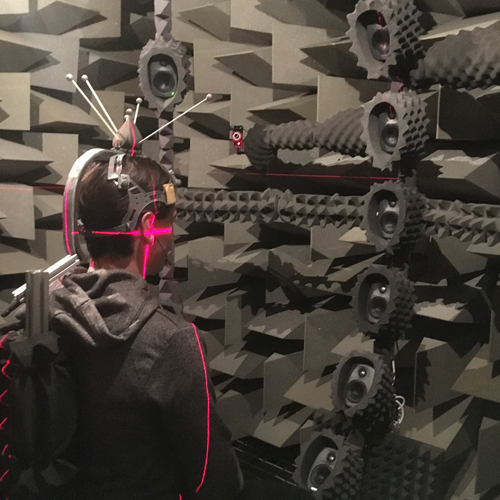 The definition of Spatial Audio tends to vary depending on who you ask, but in a nutshell, it can essentially be described as hearing sound from all around you - front, side, behind and even above or below you. These directional sounds can also seem close to you, far away, and all the spaces between – there are no limits to how we hear sound in the real world and the idea is to re-create this effect through a playback system. Another fancy word you may have come across recently is Binaural sound. Binaural is essentially just how our ears hear things in the real word, which is actually very different to how sounds come from speakers or headphones. So, what connects Spatial Audio and Binaural sound? Well, with the emergence of Virtual Reality there is an understandable desire to have Spatial Audio playback over headphones. 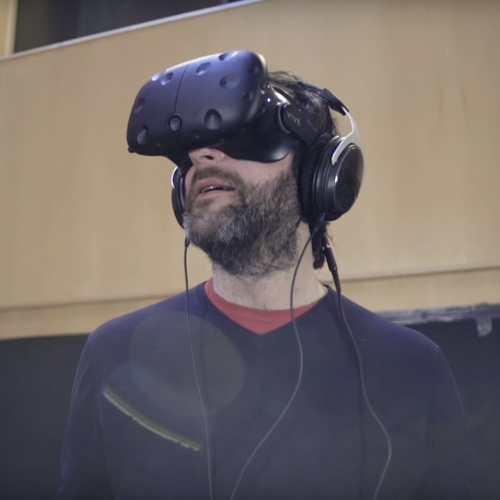 If you’ve used a VR system before you’ll know that using speakers to provide sound would be wildly impractical, only headphones gives you a truly immersive experience. So how is it possible to hear Spatial Audio over headphones, which traditionally only give you direct sound from the left and right? Well this is where binaural comes in. Binaural playback tricks the brain into thinking it’s hearing sound from all directions over headphones by using clever filtering, delays and room simulations. It mimics all the different factors that would affect how you hear sound in the real world. But everything from the size of your head, to the shape of your nose and ears effects how you personally perceive sound. Binaural sound attempts to recreate these nuances as best as possible. But the binaural techniques currently available to the public are based entirely on the measurements of someone else’s head and not your own. As the smallest changes in anatomy can cause drastic knock on effects, it’s really pot luck if you get a good sense of Spatial emersion right now – it works better for some than others. If everyone could have their own personal head measurements calculated into the equation, the sense of spatial cues could be very convincing indeed. 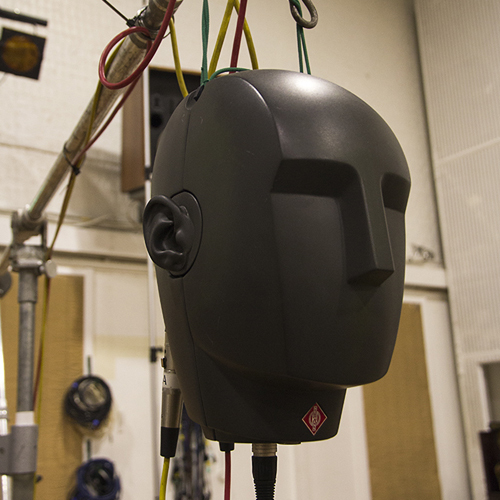 Unfortunately, the current method for personalised binaural head measurements is timely and costly. In other words, someone needs to try and crack this problem, and once they do this could be a massive game changer. Having my personal HRTF measured at York University. The process takes around an hour to complete. Previous attempts at Spatial Audio for the consumer have pretty much failed. This is mainly since people needed to invest in multiple speakers and find a room to correctly set them up in – it’s a massive pain to establish. That is why I find it so exciting we now have this potential for mind blowing spatial audio over-headphones and even sound bars, which is a drastic improvement in terms of convivence. If it’s one thing I have learnt from my years in the music industry, it’s usually convivence that paves the way and wins the day! Read Part 2 of Mirek’s Spatial Audio run down here.